PARTNER NEWS: AMS’ AS3914 NFC reader IC has been selected by automotive equipment supplier Marquardt for its new series of contactless door lock and ignition control modules due, says the chip maker, to the chip’s reliable NFC coupling even when mounted in close proximity to sheet metal. The Marquardt module will be used in the next generation of production vehicles from one of Europe’s premium car makers and will be mounted inside the door handle to allow drivers to unlock the vehicle with a tap of their smartphone. Tapping on another module in the car’s centre console will then allow the engine to start. The tiny ams AS3914 NFC reader IC in a car’s door handle enables ‘touch to open’ function when coupled with a driver’s smartphone, smart watch or tablet. 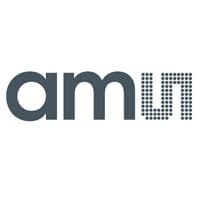 AMS, a leading provider of high performance sensors and analog ICs, today announced that automotive equipment supplier Marquardt is using its AS3914 NFC reader IC in a new series of contactless door lock and ignition control modules. Marquardt, a mechatronics specialist and long-standing supplier to leading car manufacturers around the world, chose the AS3914 because it enables very reliable NFC coupling even when mounted in close proximity to sheet metal. The device also offers lower average power consumption than competing NFC reader ICs. For contactless key applications, the Marquardt NFC module is mounted inside the door handle, and also in the car’s center console (inside the cabin). In the door handle, the 13.56MHz module couples with any standard NFC card (tag) or tag emulator, such as a mobile phone, smart watch or tablet. The driver simply has to touch their device to the handle; the system has an operating range of around 4cm. On recognizing the authorized tag’s identity, the module instructs an electronic control unit (ECU) to unlock the car. A second module in the center console must again perform contactless coupling with the driver’s tag before enabling the car to start. The Marquardt module will be used in the next generation of production vehicles from one of Europe’s premium car makers. A pre-production demonstration was on show at the Mobile World Congress exhibition in February 2015. In the door handle application, the NFC reader has to operate in conditions hostile to RF transmissions: the sheet metal of the car door acts as an unwanted antenna, deflecting much of the RF energy emitted by the reader. Marquardt’s design engineers found that the AS3914 offered far more predictable and reliable performance in these conditions than other NFC reader ICs did. This is because the AS3914 combines high RF output power of up to 1W, high sensitivity, and a unique Automatic Antenna Tuning (AAT) feature which compensates for attenuating and distorting effects, such as those caused by the metal surfaces in vehicles. Using the AS3914, Marquardt is able to achieve a range from the door handle of 4cm in almost all operating conditions, even in car designs which have a chrome metal overlay on the plastic door handle. This range is ideal for the application, since it avoids the need for the driver to precisely position the tag or tag emulator next to the handle, making it easy to use, while preventing the user from inadvertently unlocking the car when passing near the door at a range of more than 4cm. An additional benefit of the AS3914 is its low power consumption: a low-power capacitive/inductive wake-up function continually scans for tags, and wakes up the high-power NFC transmitter when it detects that a tag has moved into range. This low-power wake-up feature draws just 5µA in capacitive mode when polling every 100ms. The door handle and center console applications are not the only uses for the Marquardt NFC module: it is also expected to be used in aftermarket ‘contactless key’ products designed to be mounted directly behind the windshield. Here too the module must operate in a metallic environment, calling for the optimized receiver sensitivity and high RF output power of the AS3914. ‘The automotive environment is a difficult place for an NFC device to work in because of the large amount of metal in the surrounding environment. To succeed in this application, Marquardt drew on the unique strengths of the AS3914. ams is delighted to have been able to support such a forward-thinking company in developing a wholly new product for the automotive market. Marquardt has opened up a path that many others in the automotive industry can now be expected to follow,’ said René Wutte, Senior Marketing Manager at ams. The AS3914 is sampling now and will be in volume production at the end of 2015. The AS3914 is a variant of the existing AS3911B, and is intended for use in automotive applications: the AS3914’s test coverage has been adapted to meet the requirements of automotive product manufacturers. More technical information about the AS3911B, on which the AS3914 is based, may be found at www.ams.com/NFC/AS3911B. Marquardt has been a successful, international and independent family enterprise for 90 years. We are a leading manufacturer in the field of electro-mechanical and electronic switches and switching systems. Our products are used by many well-known automobile manufacturers and our systems are also found in household appliances and other industrial applications. In the field of power tool switches, we are the global market leader. The Marquardt Group operates in all the important markets all over the world and has offices at 14 locations with more than 8,000 employees in total – and everyone makes sure that ideas develop into marketable, cutting-edge technologies. In 2014, our annual turnover was more than 830 million Euro.